Present your restaurant or bar business check stub or business card to enjoy 1 hour of bowling on us! Bowling shoes are on the house too, along with our plethora of interactive throwback games including: bocce ball, shuffleboard, southern skittles, skee-ball, pop a shot, ping pong, giant jenga, darts and the Bimini ring toss. Come hungry! Our ‘upscale alley fare’ including signature wood fired pizzas, tacos, sandwiches and small plates will be available to order until 11 p.m.
Come thirsty! The bar will be slinging our famous Moscow Mule Slushies in addition to signature and classic cocktails, the best in local and craft beer as well as artisanal wines by the glass. 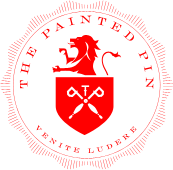 For more information, visit thepaintedpin.com. The Painted Pin is 21+ and abides by a dress code. Reservations not available. Complimentary bowling is available for a max of 1 hour, on 1 lane, that can accommodate up to 6 guests.